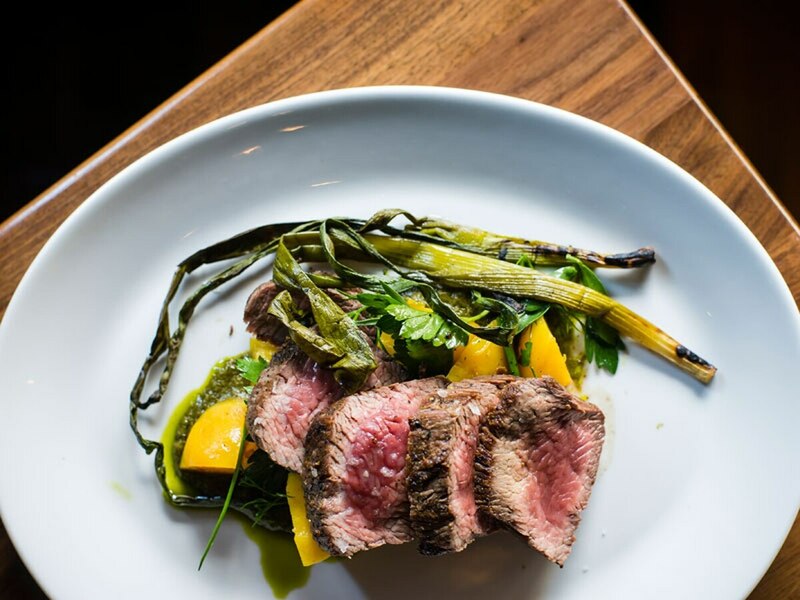 The glistening cuts that come off Imperial's wood-fired grill are one reason the dining room at this downtown hotel restaurant is consistently busy. But we come for the soup. The fact that a meatless dish can be a draw in what's better known as a protein palace speaks to the skills of the kitchen even after the departure of chef Doug Adams. Always start with the soup of the day ($9), which could be summer's last gasp of flavor like a recent chowder brimming with corn kernels and fresh pops of tomato, or a warm blanket come winter in the form of a velvety butternut squash. Then give in to your carnivore cravings and order the honey-and-hot-sauce fried chicken ($21), a succulent, smoky bacon chop ($32) or fall-apart tender duck meatballs ($12). While it normally sells out nightly, skip the dry-aged burger. Your $24 will be better spent elsewhere on the menu. GO: 410 SW Broadway, 503-228-7222, imperialpdx.com, 6:30 am-11 pm Monday-Thursday, 6:30 am-midnight Friday, 8 am-midnight Saturday, 8 am-11 pm Sunday. $$$.